Our Newspaper of the Month for September is The Good Home by Alexandra Deschamps-Sonsino. Founded last year by Deschamps-Sonsino and Peter Bihr (of The Waving Cat), The Good Home is dedicated to thinking about and designing the 21st century home. 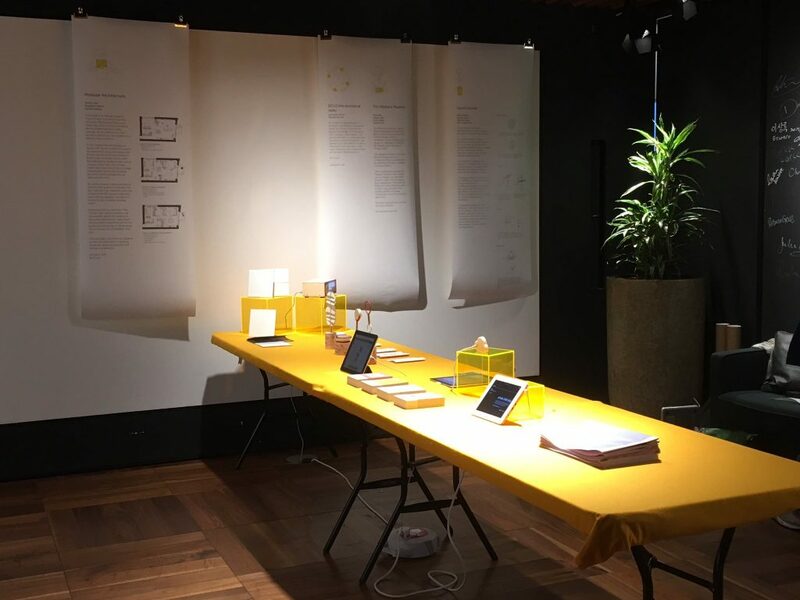 Through workshops and public installations, the project explores how connected devices can transform domestic spaces. 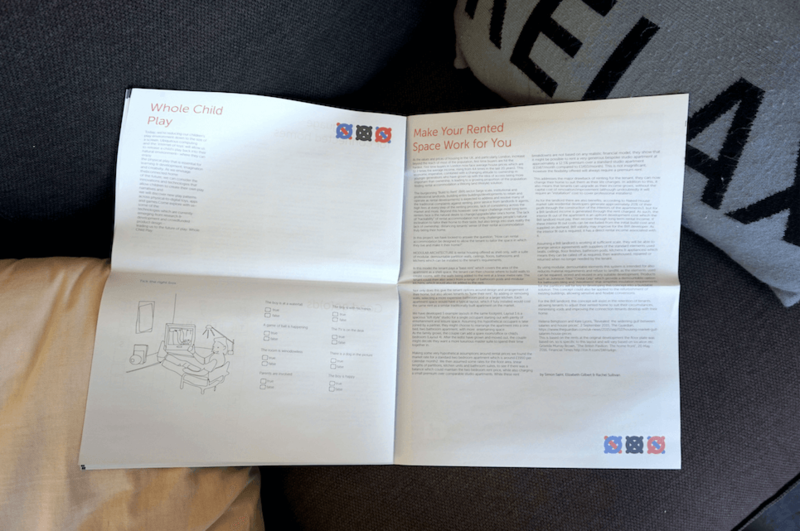 The digital tabloid is a timely look at "what life could be like for a technologically-savvy household" and was distributed at one of The Good Home's events at the 2016 London Design Festival. We caught up with Deschamps-Sonsino to learn more about the project and find out where she sees print fitting into a digital future. 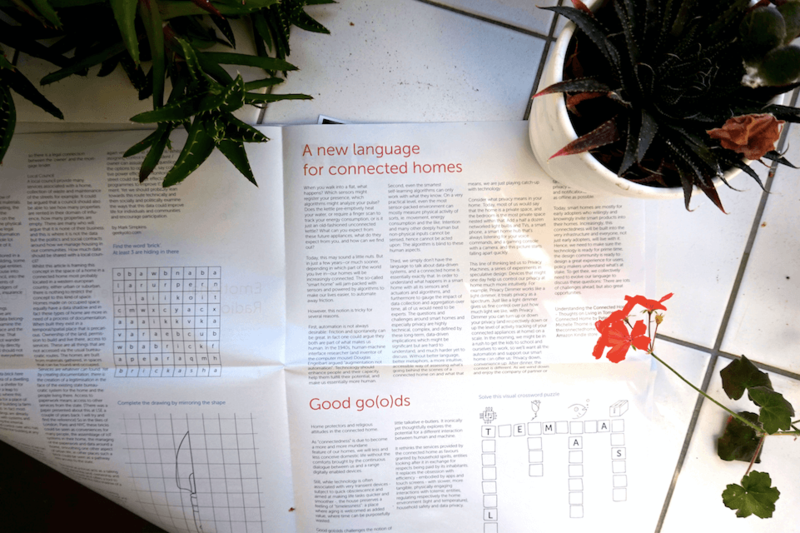 You've printed a few publications with us and edited a previous Newspaper of the Month winner, Connected. Why do you choose to publish in newsprint? "I’m a product designer by training so I’m a little bit in love with physical things – but not useless ones. Newsprint, and the format Newspaper Club supports, is very handy as a way of pointing people to content that has been curated in a particular way. That's something the internet is incredibly bad at – you can’t dictate to someone what they’ll read about and in what order." "The physicality of paper allows me to draw a narrative that is constructed from the front page to the back. It’s also a wonderful support to events and collaborations I’ve been organising, like Tech City International Women’s Day Showcase and recently The Good Home. It adds context and playfulness to the real life opportunity." How has your approach to print design changed since your first newspaper? 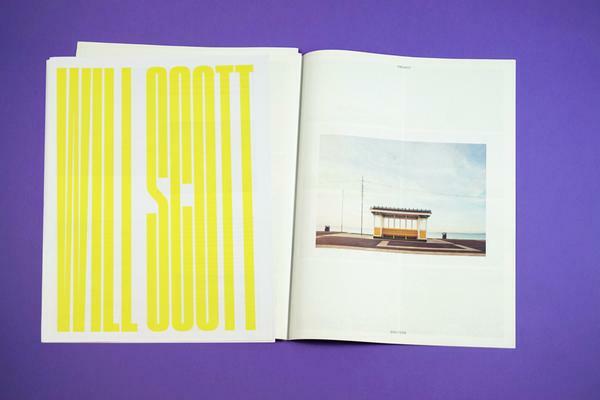 "I don’t think of myself as being particularly good at print design but I’m always trying new things. I try to aim for a more and more punchy front page. Something that will catch people’s attention. It’s hard but I think the Good Home newspapers are getting there." 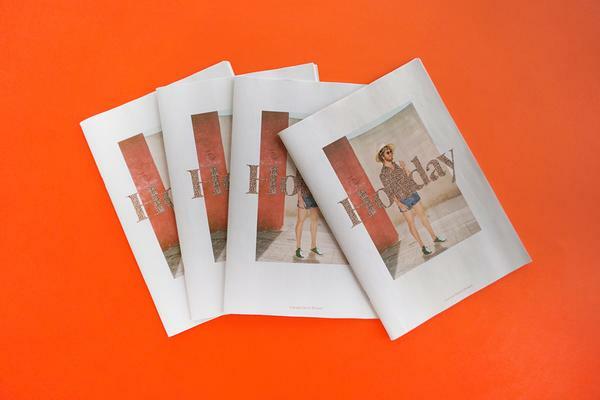 Digital tabloid The Good Home by Alexandra Deschamps-Sonsino of Designswarm. The Good Home explores the future of connectivity in domestic spaces – like an "emotional radio" that chooses songs based facial expression. How do you see print fitting into this future? "I think print is still a medium that ages really well. It requires more work than a tweet but then it rewards massively, as the discourse is much richer and it really is a snapshot of the times. I’m always influenced by short-lived or limited run publications (Minotaure magazine, the Whole Earth Catalog, even the Pre-Libri by Munari) because we still remember them and collect them. We haven’t figured out how to treat digital content with that amount of care." 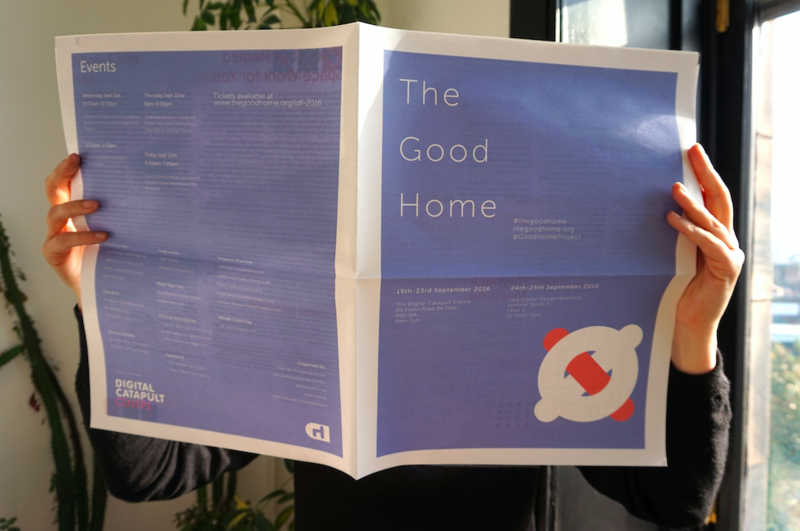 Your newspaper was part of The Good Home's exhibit at the London Design Festival this year. How did people respond to it? "It was a great addition to the exhibit as we, on purpose barely reproduced the exhibition content in the newspaper. Designed with Katya Krasner who is a student at Goldsmith’s College, we ended up treating the newspaper as an additional exhibit. We included games for kids, articles that dived into some of the concepts we exhibited and even articles on ideas we didn’t have time to develop for the exhibition. So it’s really it’s own product too. We gave them away and they flew off the table." 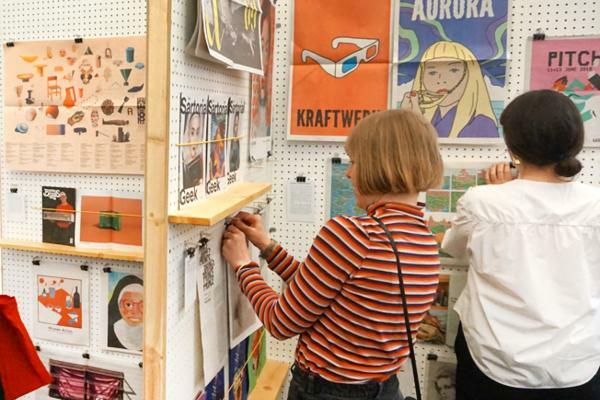 The Good Home at the 2016 London Design Festival. Finally, The Good Home is heading to Berlin and New Zealand next year. Can you tell us about your upcoming projects? "We’re changing host countries / organisations every few months and I’m interested in exploring issues of migration and Brexit in Berlin in the Spring. I’ve also done a lot of work with Wintec in Hamilton and I’m interested in hosting a Good Home there to talk about rural living. There’s loads going on with sustainable living at the minute. Lots to develop and explore in an open and collaborative way." The Good Home newspaper is available in The Newsagent for £7, including UK delivery. Visit The Good Home at the upcoming Mozilla Festival on October 29th 2016.